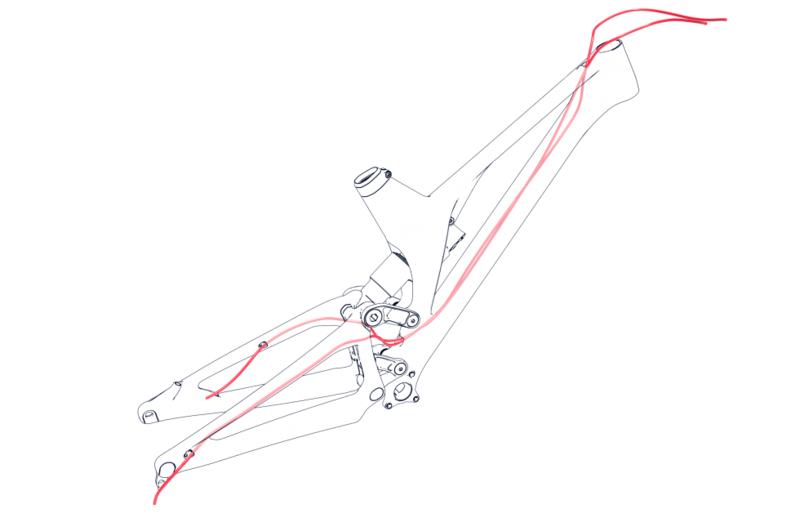 IT HAS BEEN SAID THAT DOWNHILL IS THE FORMULA 1 OF MOUNTAIN BIKING. 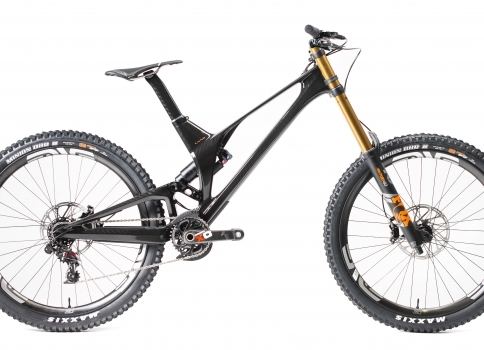 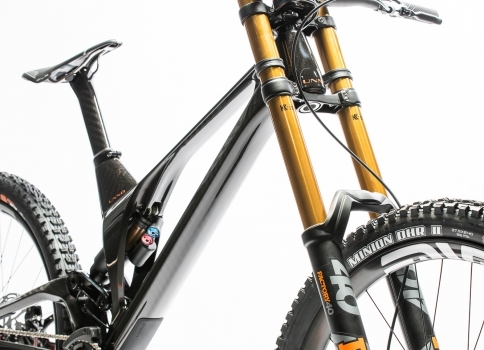 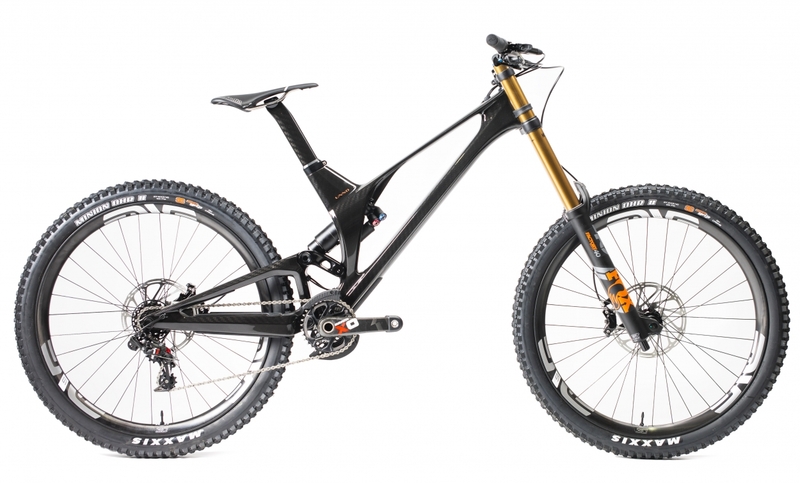 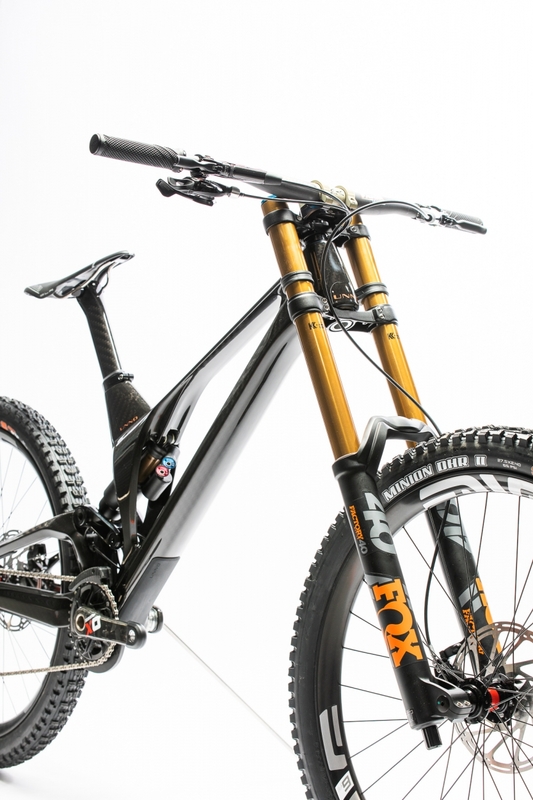 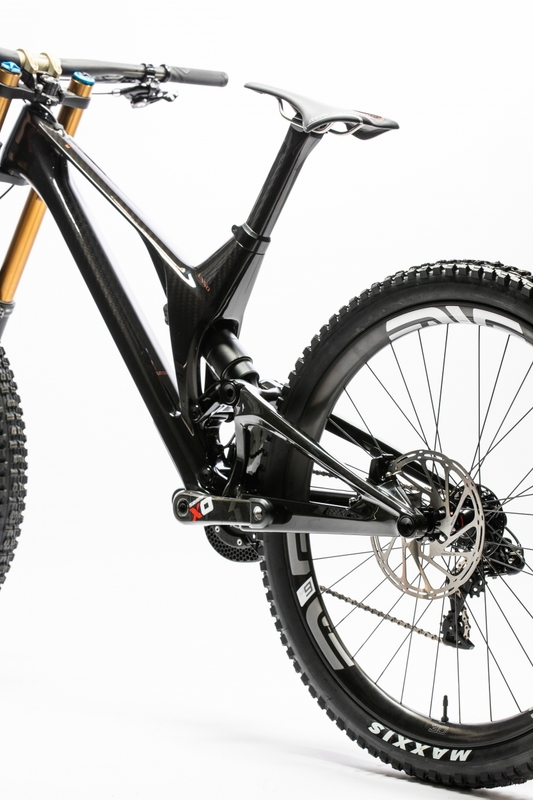 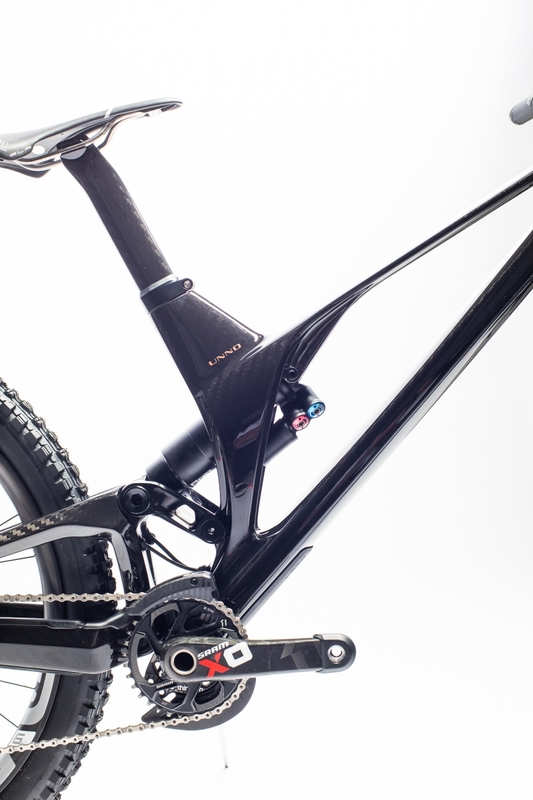 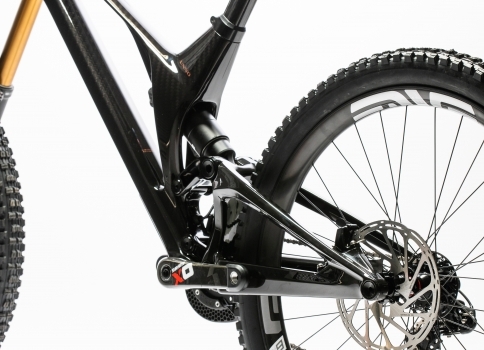 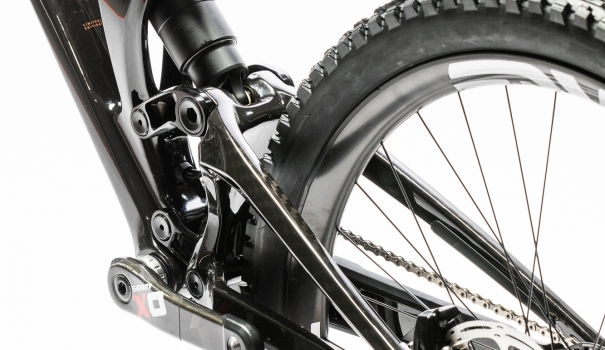 SO WHY NOT DESIGN A DH BIKE THE SAME WAY AS AN F1 CAR? 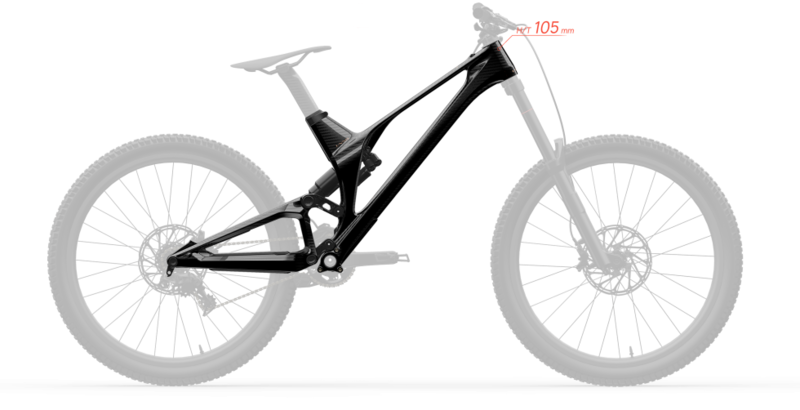 FREE FROM ANY CONSTRAINT, WITH THE ONLY GOAL OF BEING THE FASTEST DOWN THE HILL. 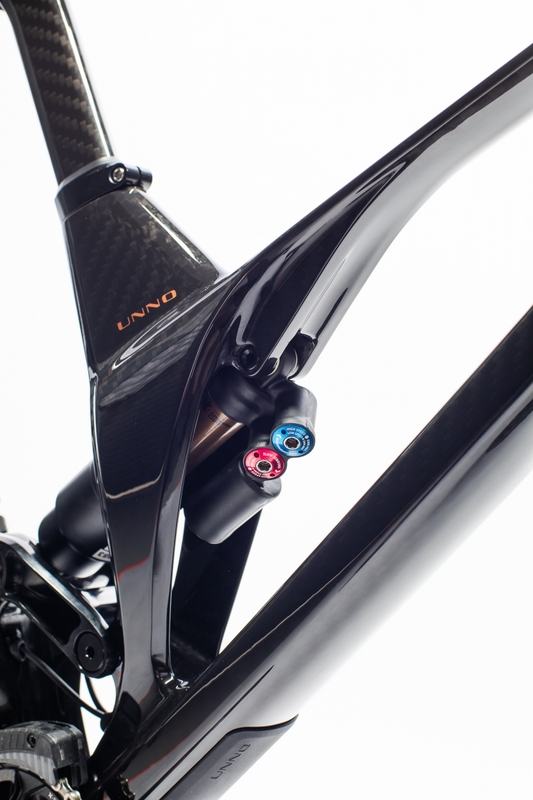 "There are plenty of downhill bikes out there with 200 mm of travel, but there aren't many of them that can deliver that travel as smoothly as the UNNO Ever"
"The Unno Ever has looks that can kill. 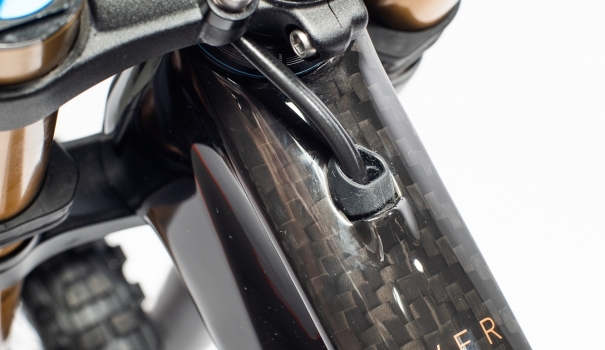 It is a one-of-a-kind machine with incredible details throughout. 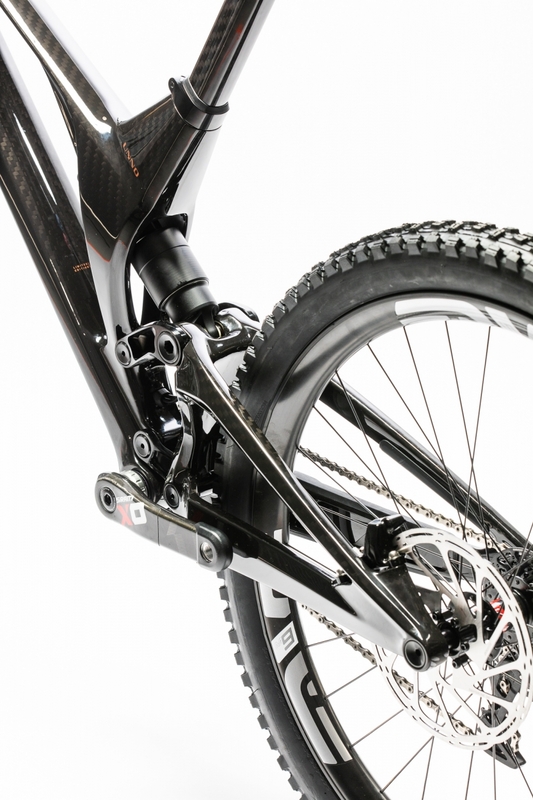 On the trail, it is a great all-around performer that will compliment a skilled rider very well. 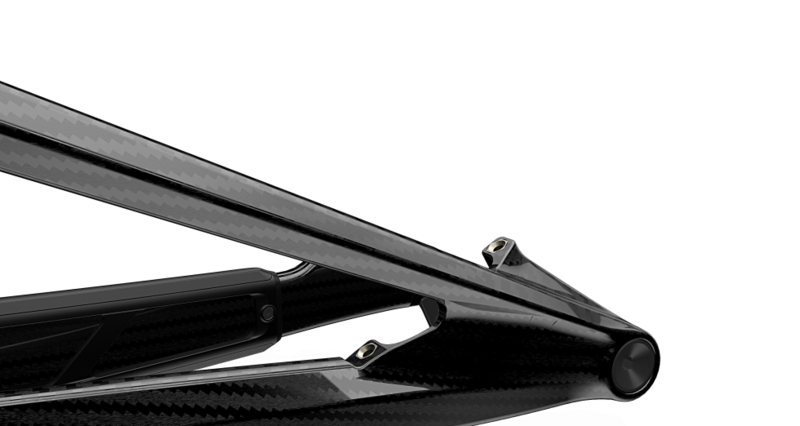 Not only does it have excellent front-end feel and control, but the suspension delivery is also very smooth. 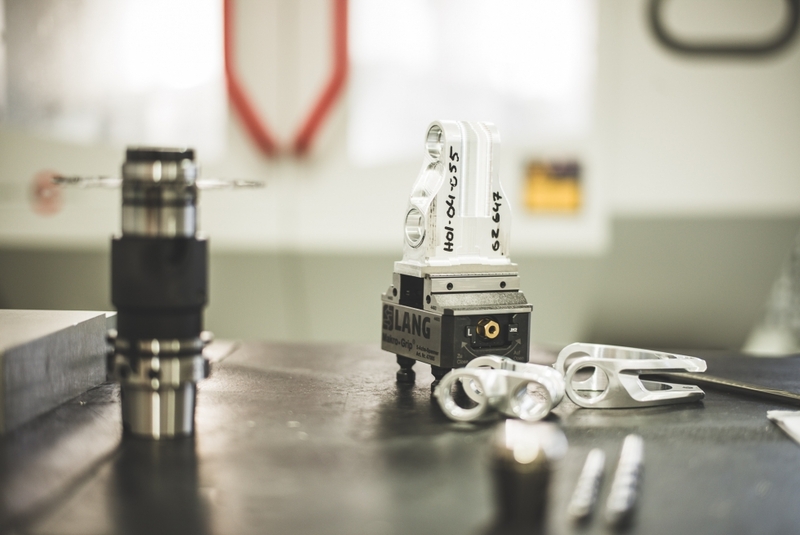 This translates to an improved ability to pick a line and change direction at a moment's notice, which ultimately means a higher likelihood of faster times on the clock." 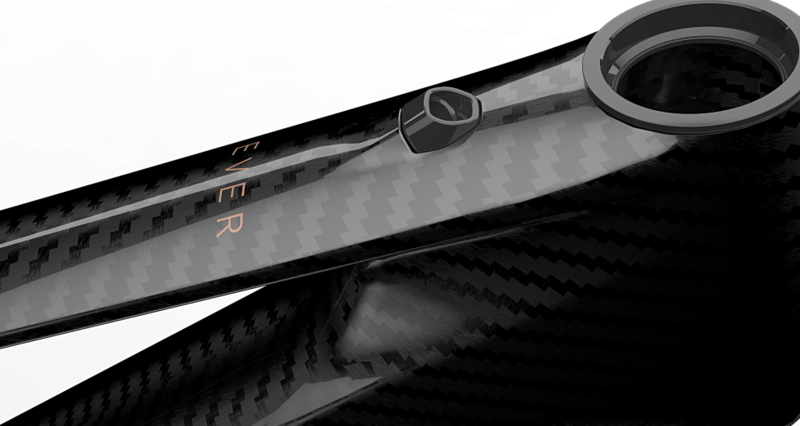 "The Ever belongs on the back of the Batmobile, underneath someone with Bruce Wayne’s superhero abilities and pocketbook. 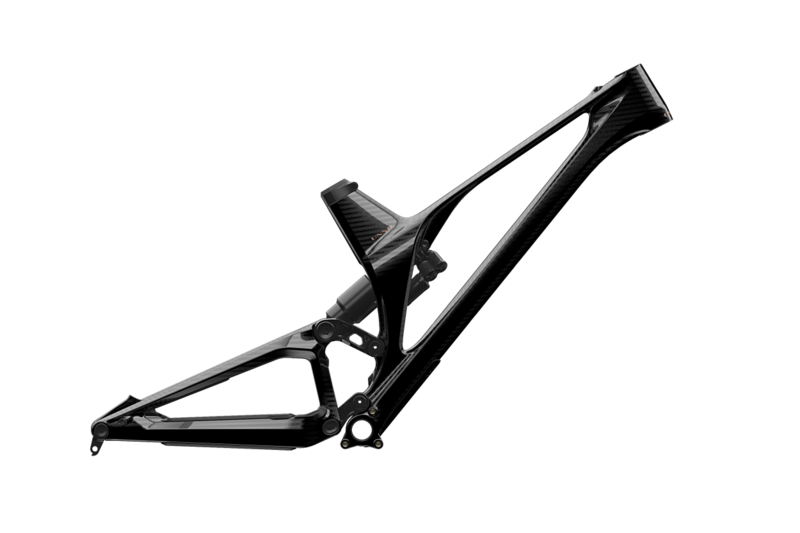 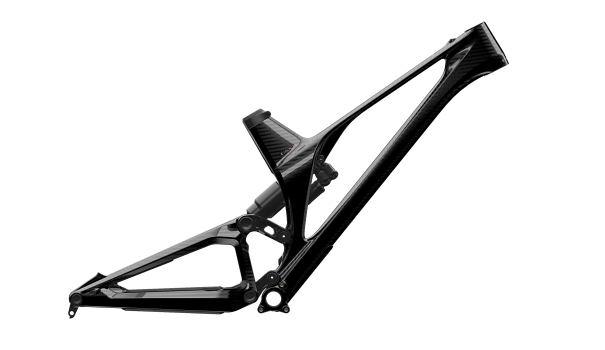 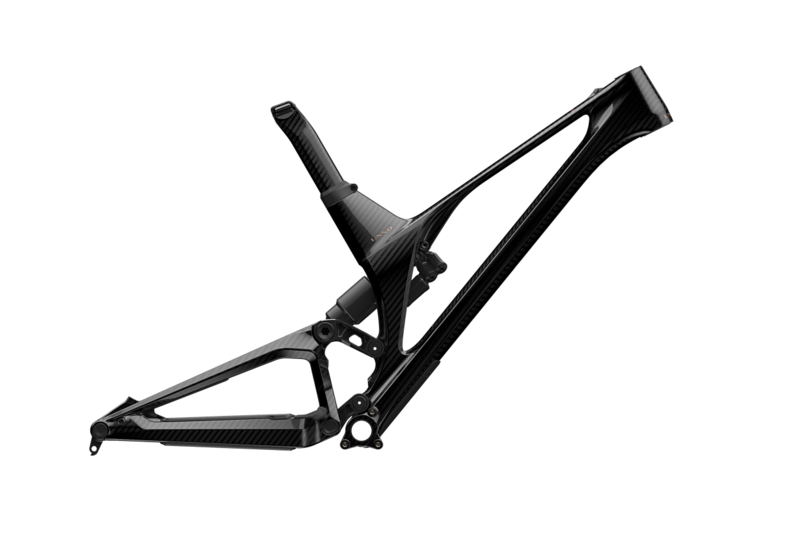 UNNO has done an amazing job engineering and manufacturing everything in-house, and it shows when examining the frame's many incredible details. 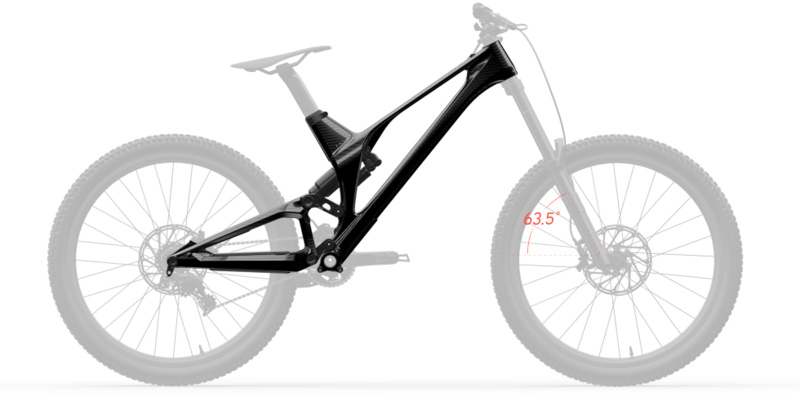 The bike's overall composure and versatility make it shine even brighter, and it will complement a skilled rider very well." 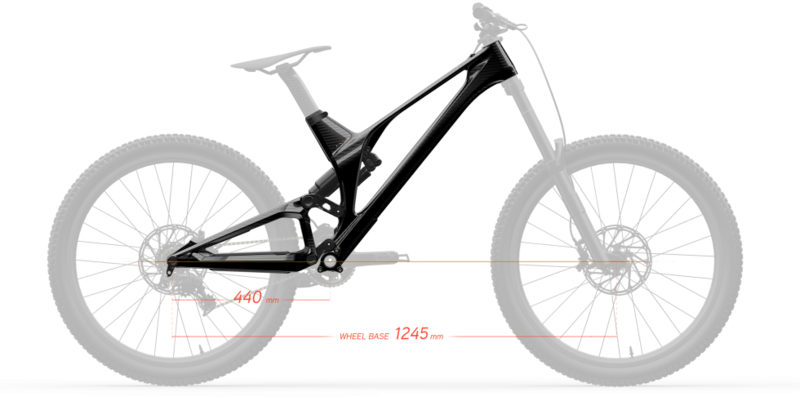 Our exclusive patented dual link suspension kinematics with 200mm of travel are optimized for the use of an air and coil shock to make the most of every millimeter of rear travel. 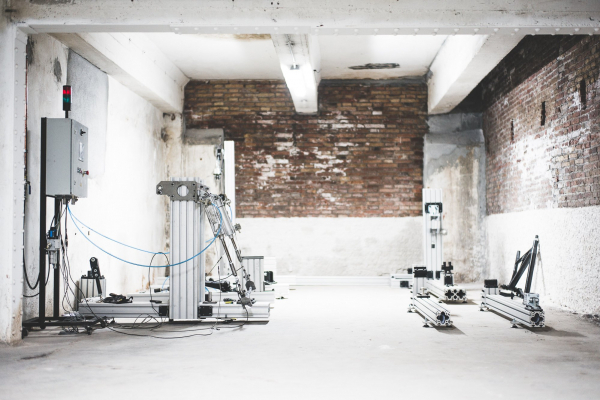 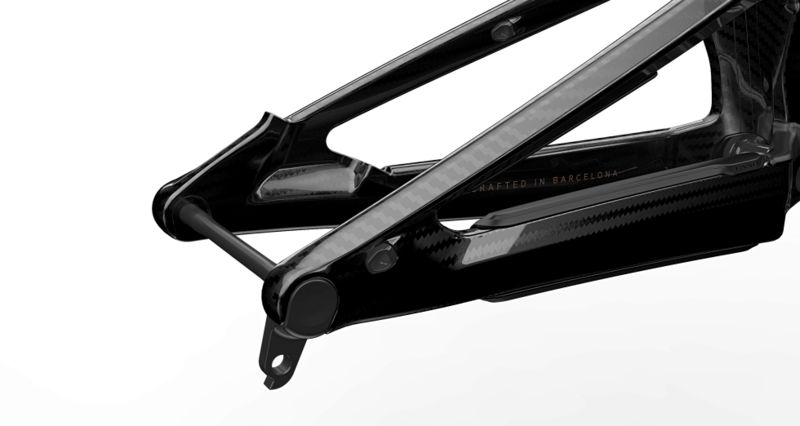 Designed and engineered by UNNO in Barcelona, taking innovation and precision into the next level. 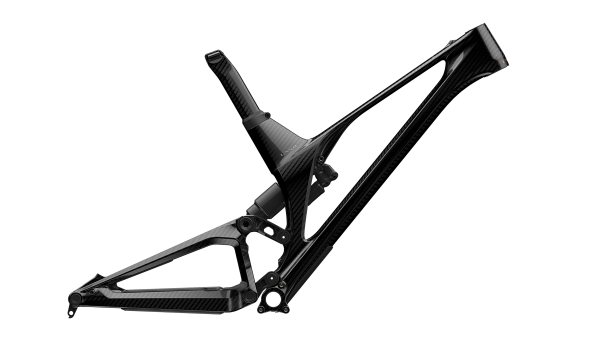 If it took us 4 years to make them, it was because our main goal was absolute perfection. 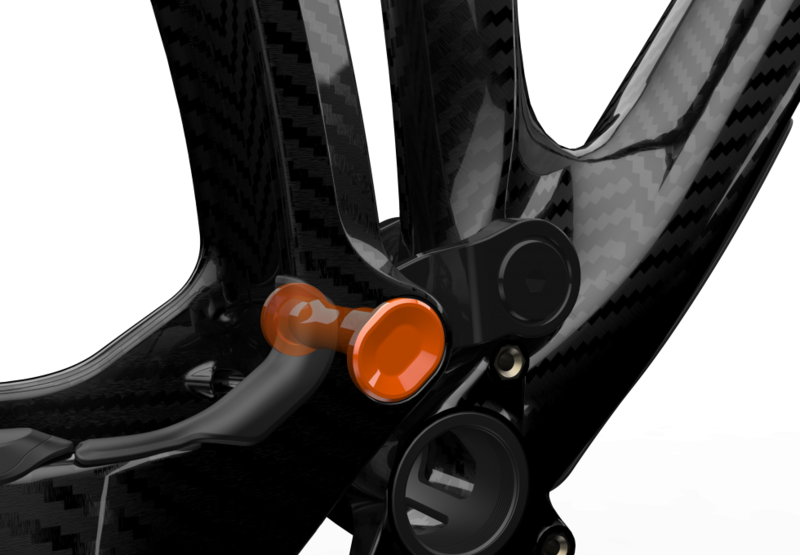 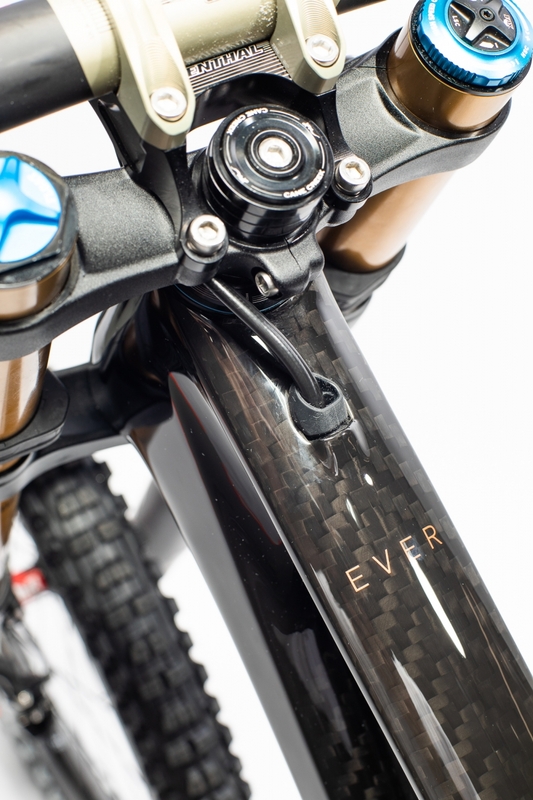 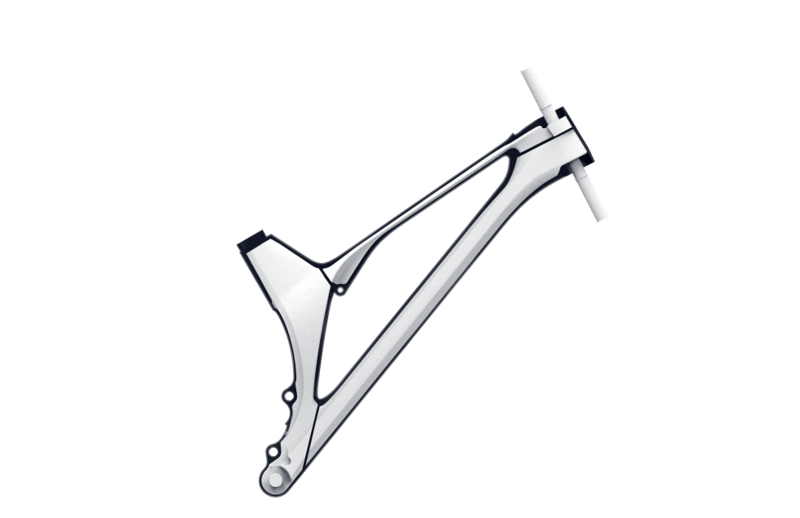 We have never spent so much time designing a bicycle frame, and we have taken our love for details into the next level. 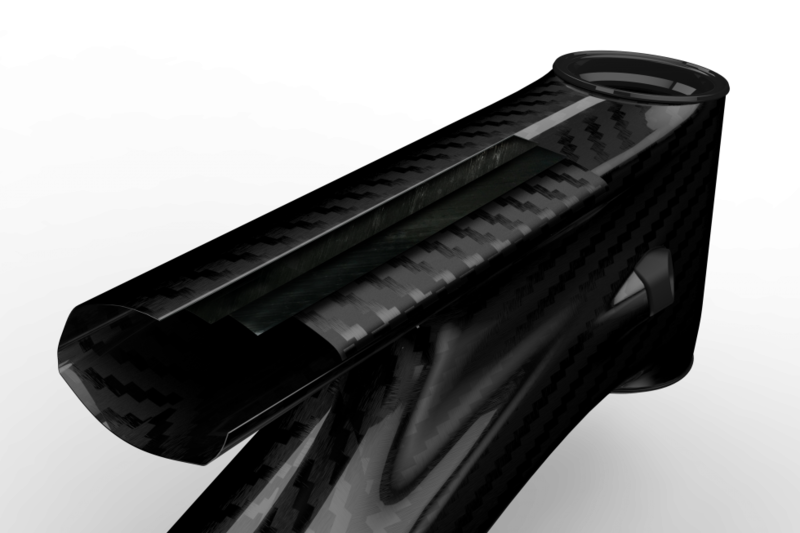 Our aim was to create our own identity, our own DNA. 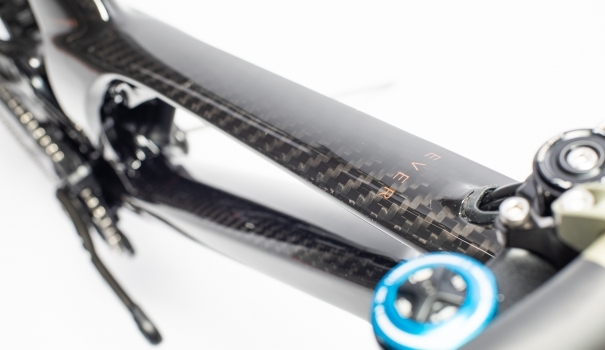 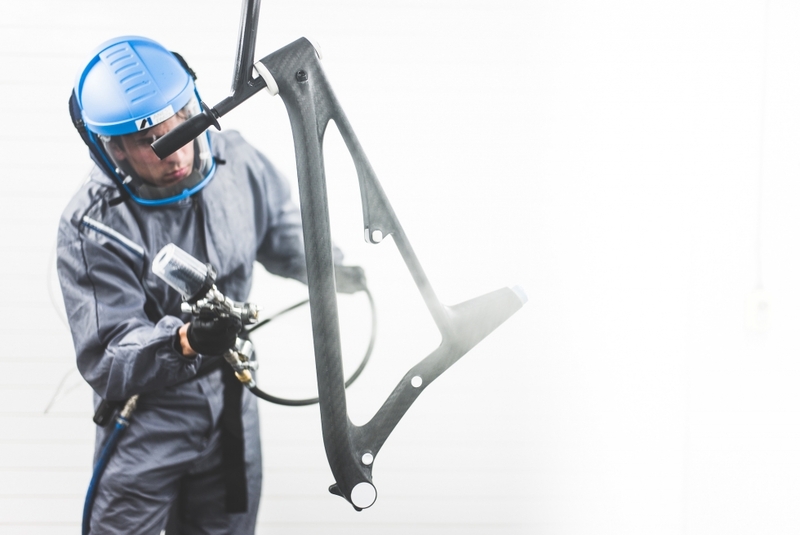 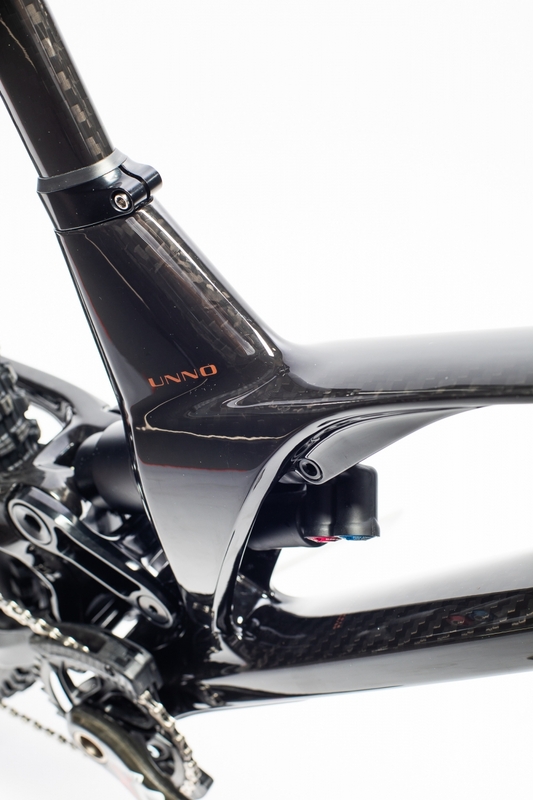 UNNO is known for doing 100% of the development of all bicycles in-house, and that is something that no other brand making bicycles from composite material can say. 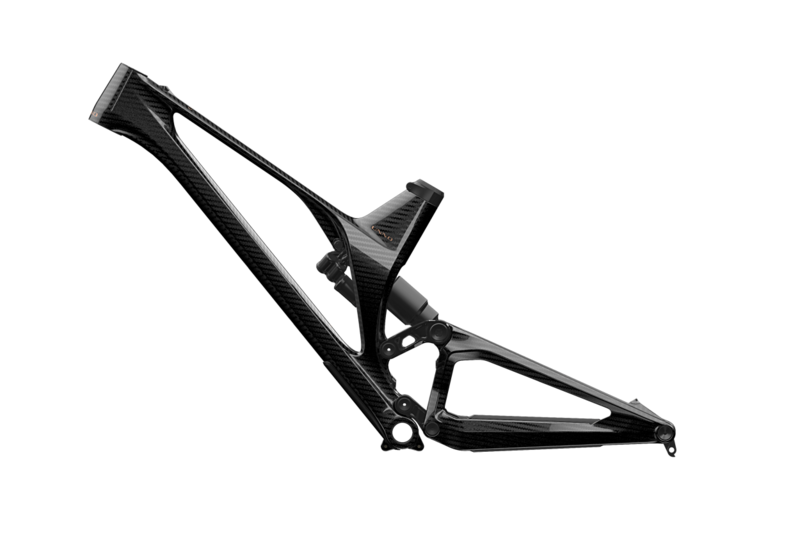 Nothing has been left to chance. 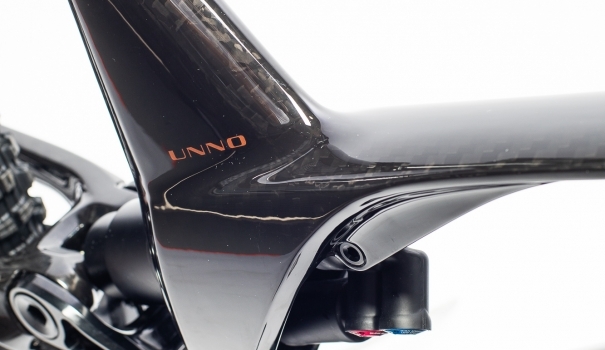 UNNO means details, perfection, and that is reflected in each one of those small features that other brands neglect. 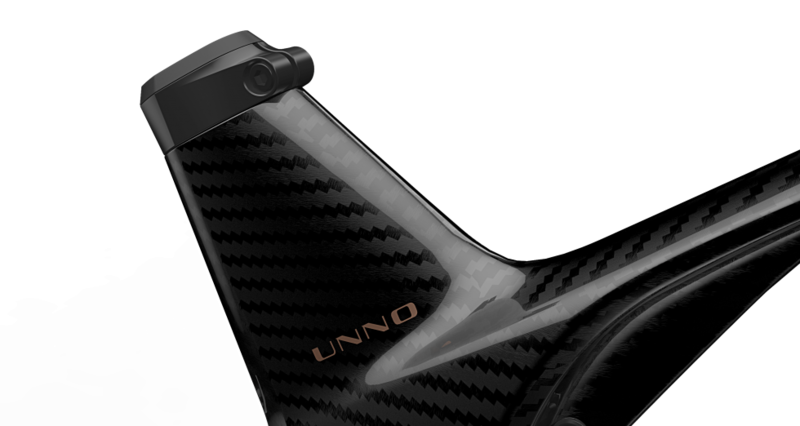 UNNO is known for doing 100% of the development of all bicycles in-house, and that is something that no other brand making bicycles from composite material can say. 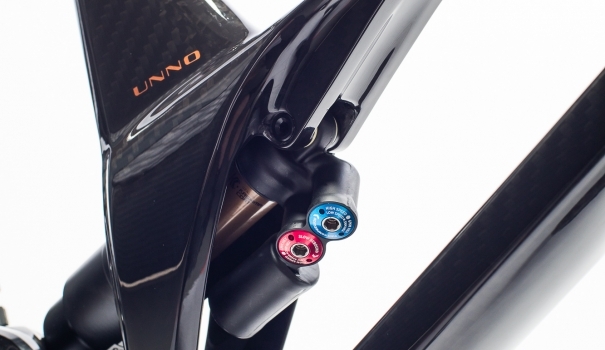 UNNO wants to go a step further. In order to detect binding stress concentrations, we have built up a detailed layered FEA model instead of bike frame simulations making use of isotropic materials. 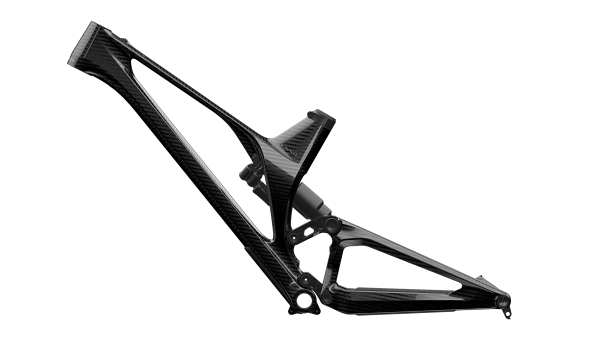 Number of layers, materials and fiber orientations have all been specified for each frame part. 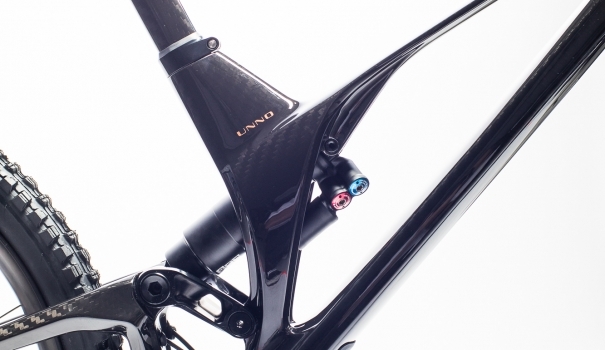 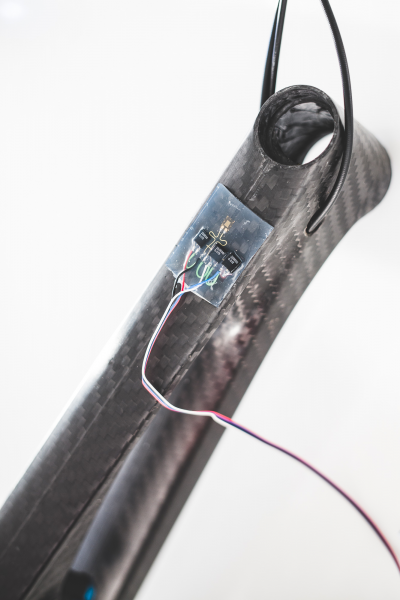 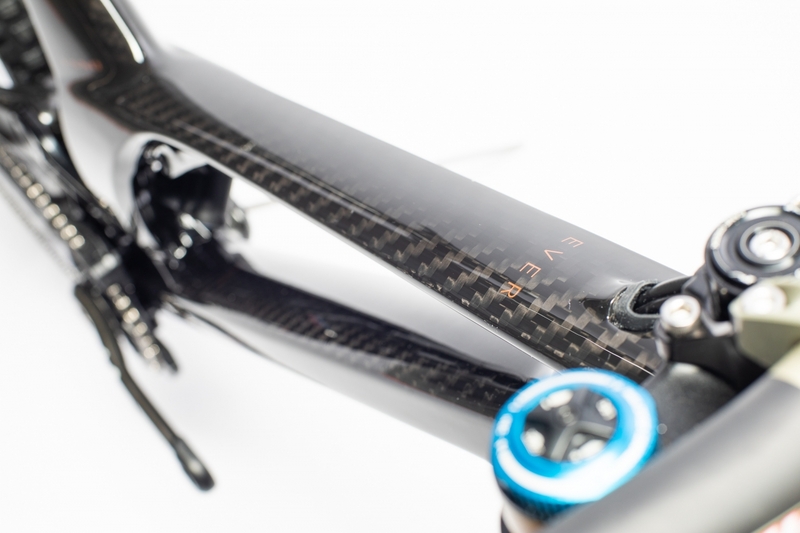 Consequently, stresses and failure indexes were obtained for each layer, allowing our engineers to enhance the optimal layup and resulting in the lightest, stiffest and strongest bike frames in the market.